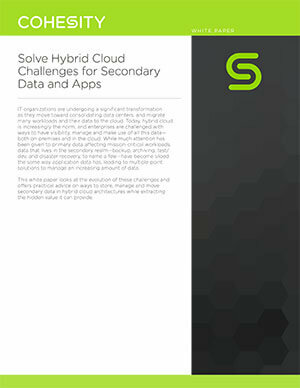 Bring secondary data workloads to the public cloud. Easily support replication from on-premises data centers to the public cloud. Enable data management to support cloud DR, test/dev and analytics use cases. Manage all secondary data and applications across datacenter, cloud and edge using the same UI and APIs. Maximize storage efficiency with variable-length, global deduplication that spans an entire cluster in the datacenter and the cloud. 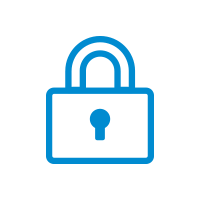 Secure your data with software-based encryption, both in the cloud and during replication. Convert on-premises VMs to native cloud formats to support application mobility for test/dev. Replicate data from on-premises data centers to the cloud and vice-versa using built-in replication. Protect cloud VMs through integration with snapshot APIs of the public cloud providers. Optimize your data protection infrastructure in the cloud and gain maximum storage efficiency with Cohesity’s enterprise-class capabilities. True global inline variable length block deduplication optimizes storage efficiency. Cohesity uniquely dedupes across the cloud and datacenter. Software-based encryption using the AES-256 standard, with optional FIPS certification for data encryption in-flight and at rest. 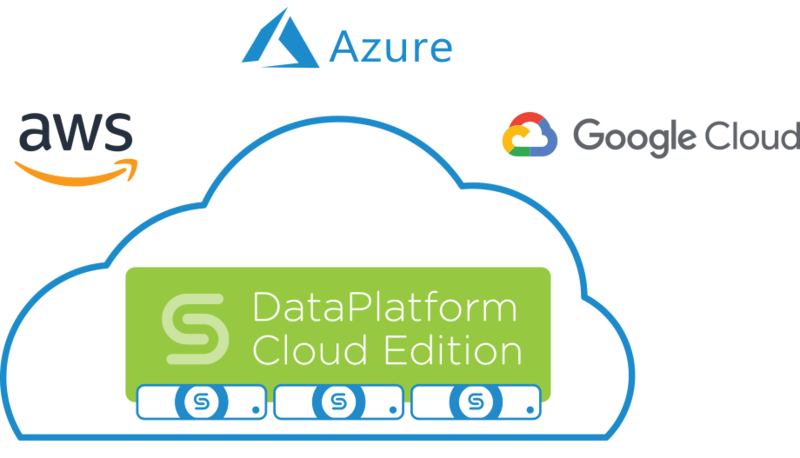 Cohesity DataPlatform Cloud Edition allows instantaneous access to backups for application or file-level recovery, with a full catalog of always-ready snapshots. Reduce RPOs with unlimited backups and fully hydrated snaps on Cohesity DataPlatform Cloud Edition, leveraging parallelized data ingest. Instantly find your virtual machine and file data with Google-like wild-card search. With Cohesity Cloud Edition we can easily and transparently move our virtual machine backups into the Microsoft Azure cloud platform. This provides an on-ramp for us to utilize Azure cloud services to run our applications as our business grows and evolves. Interested in learning more about Cohesity Cloud Edition?